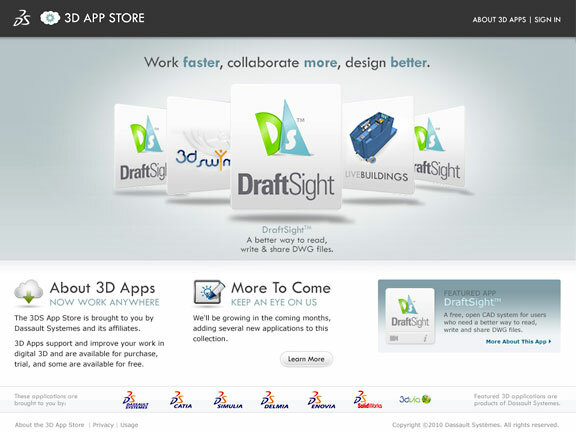 Dassault Systémes empowers users to create, share and experience products in 3D. 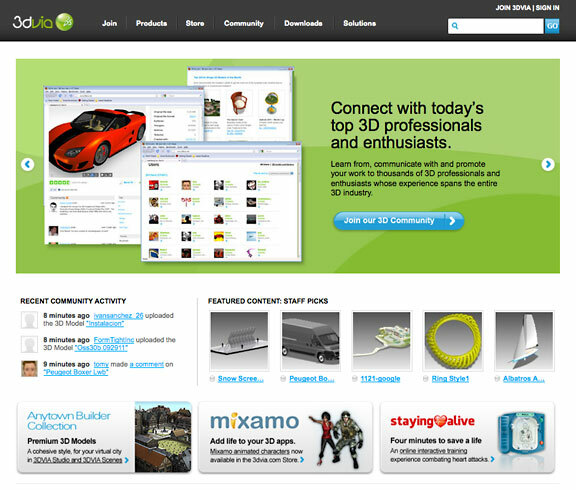 3dvia is an online sharing community and showcase for 3D design professionals. 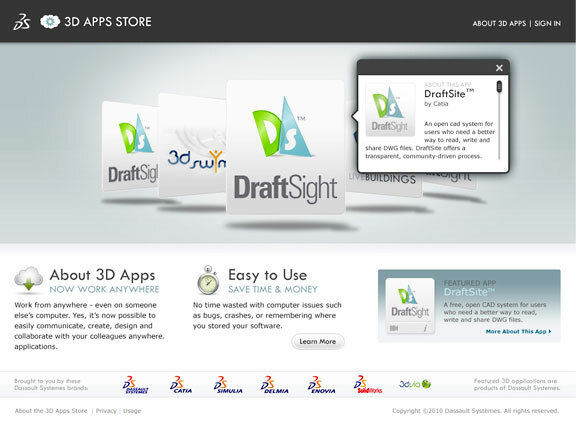 3DVIA features an online sharing application where users can upload their 3D models anytime and anywhere through a complete 3D cloud management and showcasing solution. 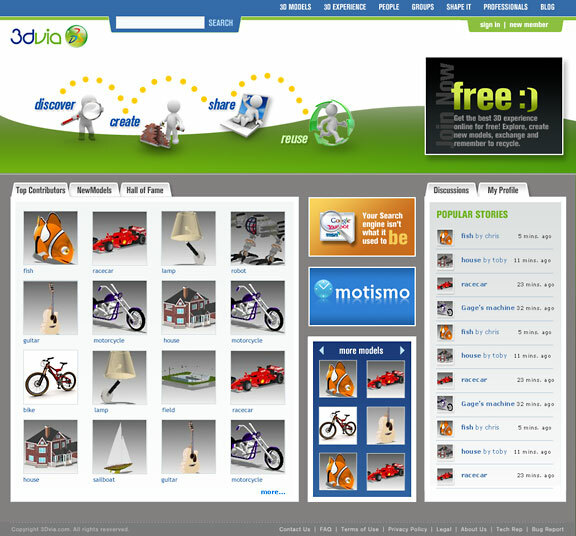 We've designed several iterations of Dassault Systémes products and services sites, including 3dvia and their new 3D Apps Store. Click through to view our concepts.